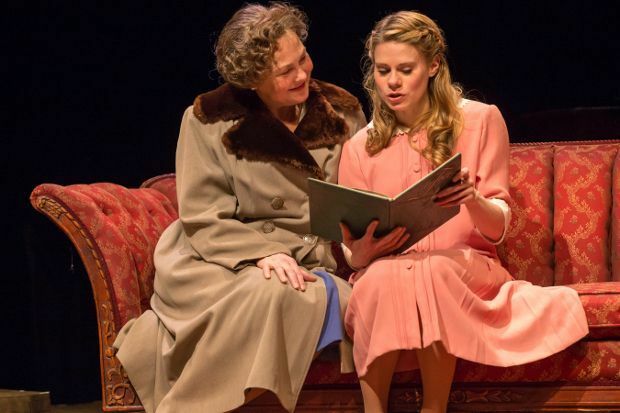 Often overshadowed by his more dramatic offerings A Streetcar Named Desire and Cat on a Hot Tin Roof, The Glass Menagerie is Tennessee Williams' most autobiographical – and probably his most powerful – play. But thanks to John Tiffany's celebrated Broadway revival in 2013, it's had something of a reawakening. This revival of that revival brings back Cherry Jones as overbearing mother and faded Southern beauty Amanda Wingfield, who lives in St Louis with her dreamer son Tom (Michael Esper) and delicate daughter Laura (Kate O'Flynn). She's desperate for Laura to find a husband, and when Tom brings a gentleman caller (Seth Numrich) home, things come to a head. Since his Fringe success with Black Watch back in 2006, Tiffany's had some phenomenal worldwide hits, from Once to this year's Harry Potter and the Cursed Child. And his Glass Menagerie is as slick as you'd expect, with an evocative set design from Bob Crowley and exquisite movement choreographed by longtime collaborator Steven Hoggett. But it's the cast that really bring this four-hander to life. Jones is by turns stately and vulnerable as the damaged Wingfield, and Esper is an engaging Tom. Yet it's O'Flynn and Numrich who really shine the brightest, and their lively, intimate encounter towards the end of the play is one of the most moving renditions you'll ever see of this famous Williams scene. King's Theatre, until 21 Aug, times vary, £14–£38.